“The horse is the ultimate expression of freedom of movement, grace, beauty, spirit, strength and forgiveness, and especially kindness of soul. 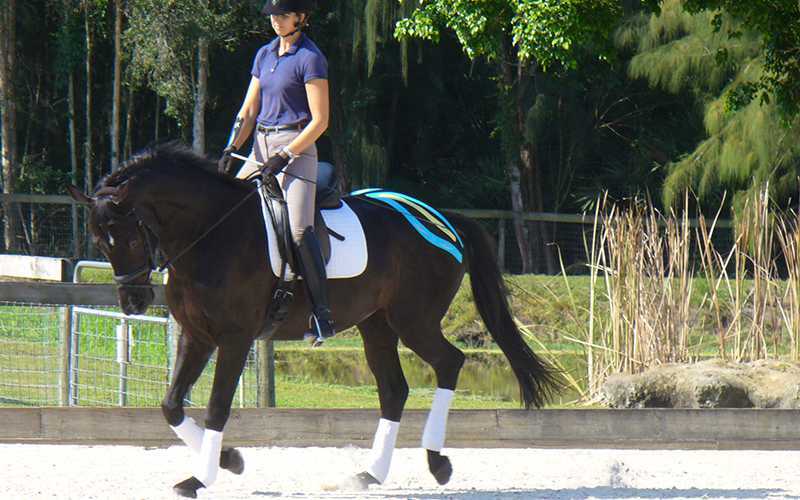 Find out more about how we apply scientific principles and techniques to athletic training programs so your horse can stay sounder and perform better at all disciplines and levels through Grand Prix. On this site you can learn more about bio-mechanics and resistance behaviors to achieve the most from your riding and athletic training programs. Improve soundness and athletic performance! Used in health care and athletic training programs to heal injured tissue and support overall function of muscles, joints, circulatory and lymph systems. Dr. Bev Gordon has over 30 years of experience working with horses and people in both the English and Western disciplines to enhance their bio-mechanics. 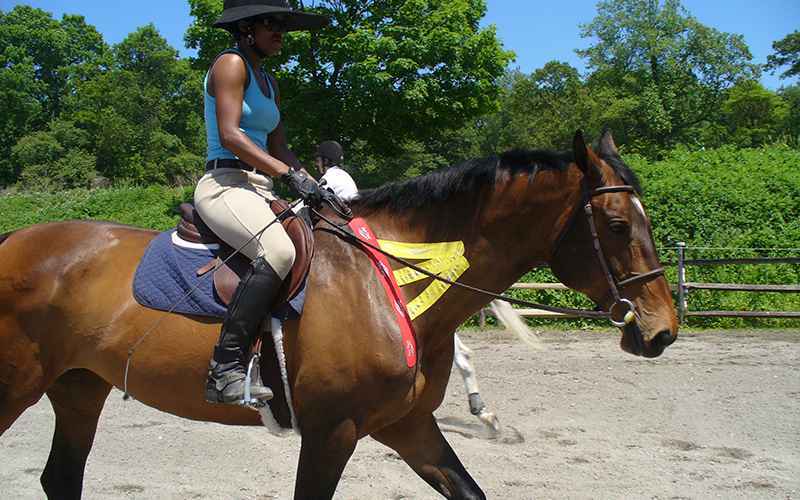 She has classified equine training resistances into four major categories and customizes exercise rehabilitation programs. Her goal is to help all animals remain balanced and sound. 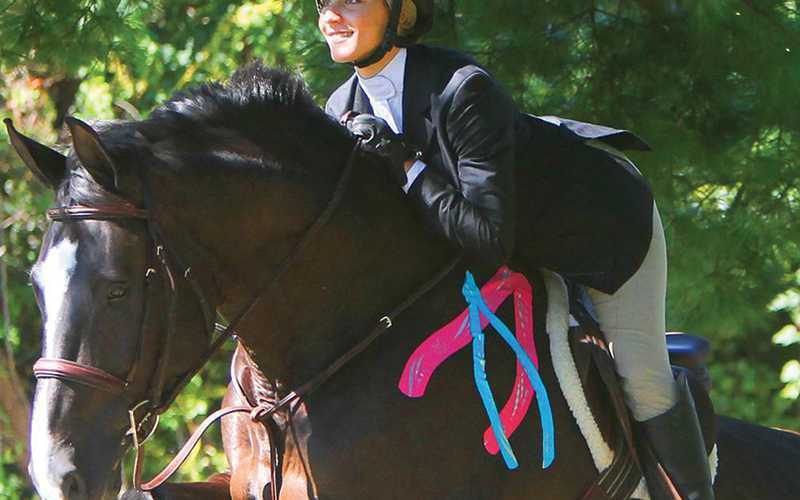 This commitment and passion led her to the creation of Equi-Tape®, the first elastic kinesiology tape designed specifically for horses, along with the associated Equi-Taping® Method. It’s not just for humans anymore. Enjoy and learn from the many informative articles on equine movement, therapies, schooling exercises, resistances, and other interesting topics, to help you get the most from your riding and athletic training programs, and help your horse stay sounder and perform better. Here we also help connect you to the broad world of horse therapies. 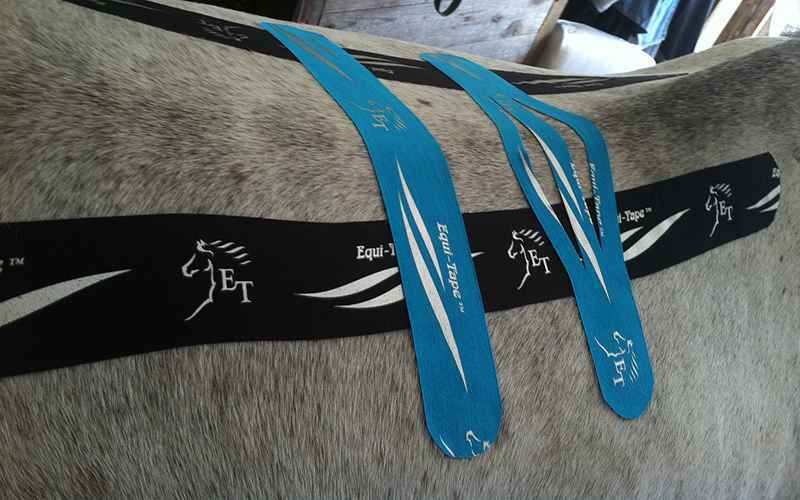 Learn how Equi-Tape® can be used to successfully treat a wide range of equine conditions and help give support and stability to joints and muscles while at the same time allowing for full range of motion. 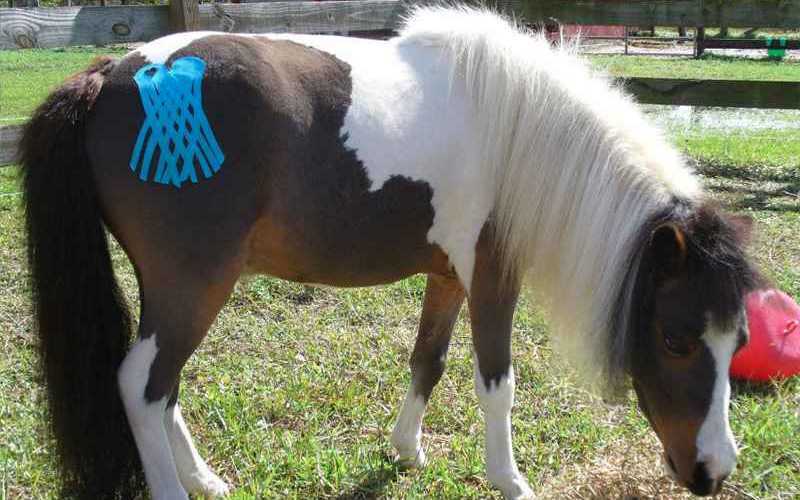 This specially designed tape can be used to help rehabilitate equine injuries, helping horses become sounder sooner thereby becoming an important resource in equine sports management and training programs. Learn; Taping Tips, How to cut the tape properly, how to measure correctly and many useful applications. 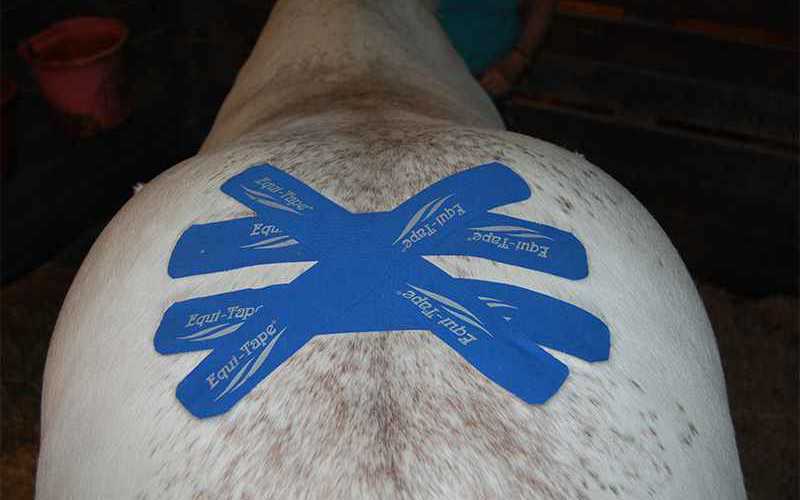 Equi-Taping®, Chiropractic and proper training methods will support you through all phases of your riding and any rehabilitation and injury management that may be needed. Our rescue organization had gotten in a four-year-old Thoroughbred mare off the track; Dr. Gordon examined her and taped her hip and sacral area. When the mare was taped, you could see she was immediately more comfortable, and when the tape was removed a few days later, she was greatly improved. I even used the tape on my own hand after a horse accidentally bit me. It really worked great! As the owner and manager of a large equestrian facility, I am extremely grateful to Dr. Beverly Gordon for the amazing work she has done on my horse’s back. 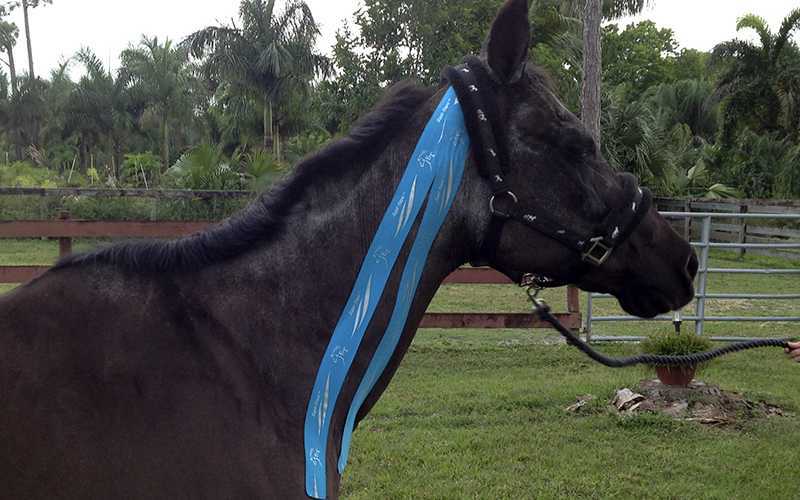 An older thoroughbred with arthritis and kissing spine, her Equi-taping has worked wonders on him! She has also worked on some of my boarder’s horses, and everyone has seen improvement in their horses’ attitude and performance after her treatments. Dr. Gordon showed me how to tape my Grand Prix dressage horse for a suspensory problem. My vet was amazed at how quickly the swelling was reduced and she commented that Billy’s ankle never looked better. I couldn’t quite believe it myself. 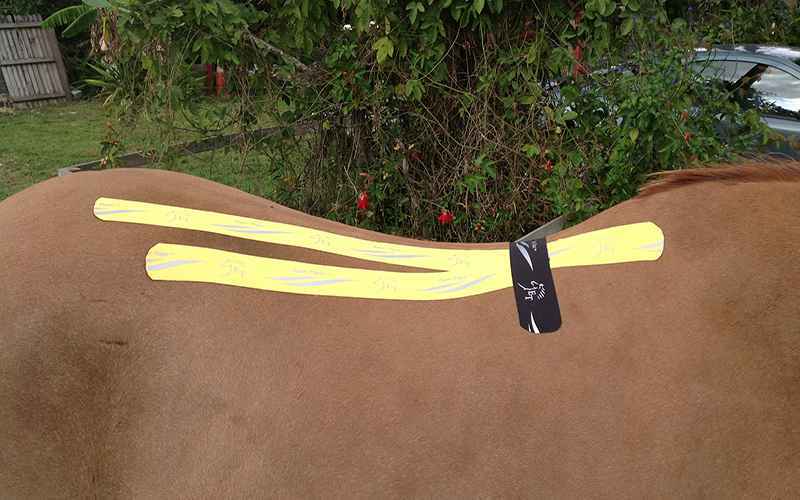 I highly recommend Equi-tape to anybody and I will continue to use it on my horses. Thanks Dr. Gordon! 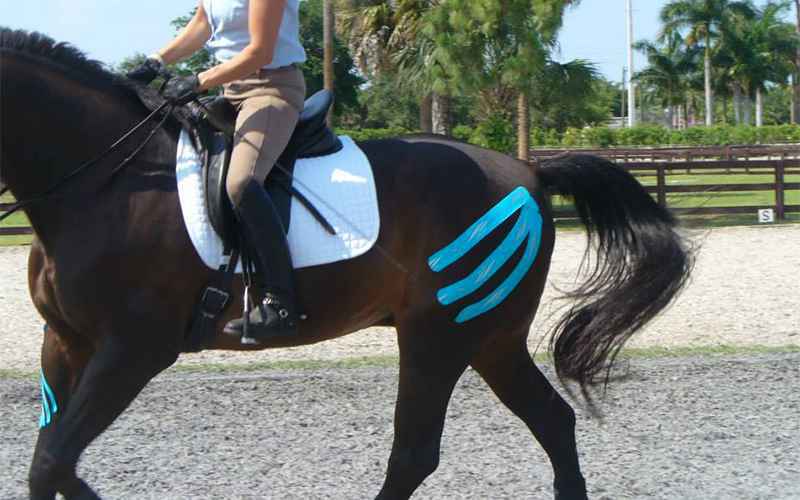 Dr. Gordon,I wanted to take a moment to thank you for introducing us to Equi-taping. I was so impressed by how much more comfortable and relaxed Delilah’s back was after only a few tapings. Amazing how something so non-invasive can make all the difference in my mares comfort. 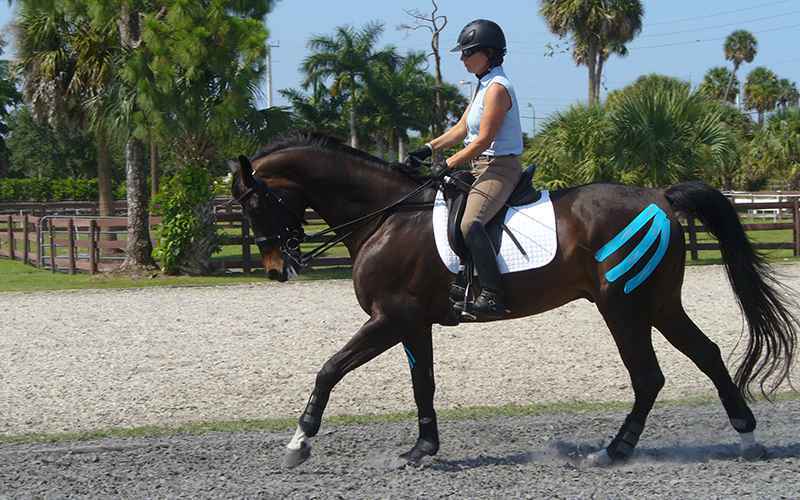 Dr. Gordon taped Latino, my 18 yo Hanoverian Gelding who was recovering from a hind suspensory injury. I was thrilled to see the tape noticeably reduce the swelling in just a few days. One day I noticed a swelling on Latino’s shoulder, and was eager to once again have him taped. With Dr. Gordon’s advice, I taped him myself and got the same good response. 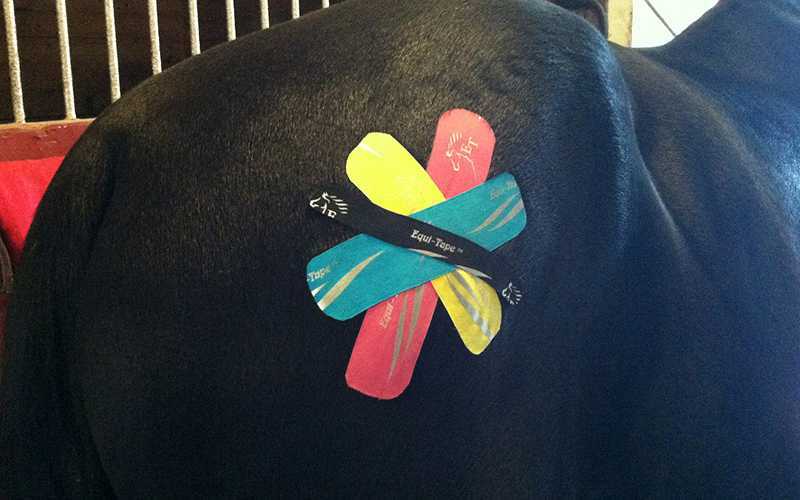 Equi-tape rocks! I once had a horse come to me in training that had been labeled ‘difficult’, a rearer who shut down to all driving aids and refused to go forward. After riding the horse a couple of times, I was convinced this was not a behavioral issue but a legitimate response to pain. Dr. Gordon evaluated the horse, and after a chiropractic adjustment suggested daily equi-taping in the saddle area and over the croup. Within a few days there was already a marked change in the horse’s behavior. Only a month later, with daily taping, and re-assuring corrective riding and gymnastisizing, the horse moved more freely in front of the leg and stopped all rearing. We were also able to work on lateral suppleness and greater throughness, developing smoother half passes and flying changes. Thanks Bev! 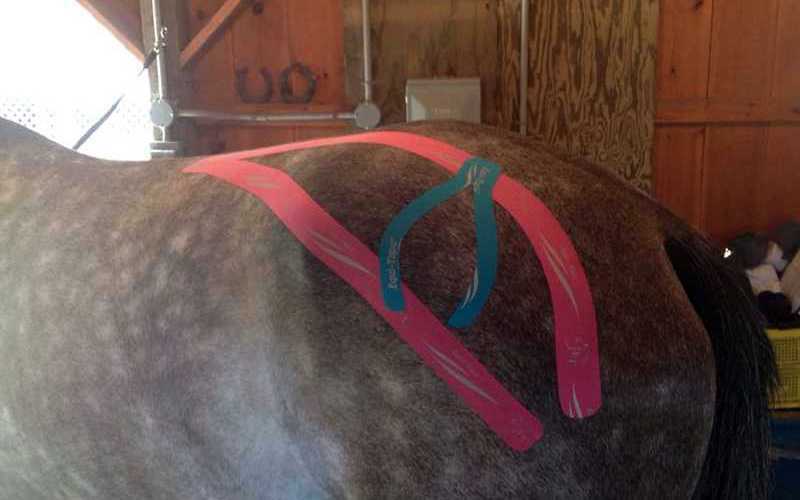 Dr. Beverly Gordon Equi- taped my client’s horse’s suspensory several times. The suspensory had filling in it for a long time (the horse had been treated for an injury 3 times!). After Dr. Gordon taped it a few times, the filling significantly decreased! 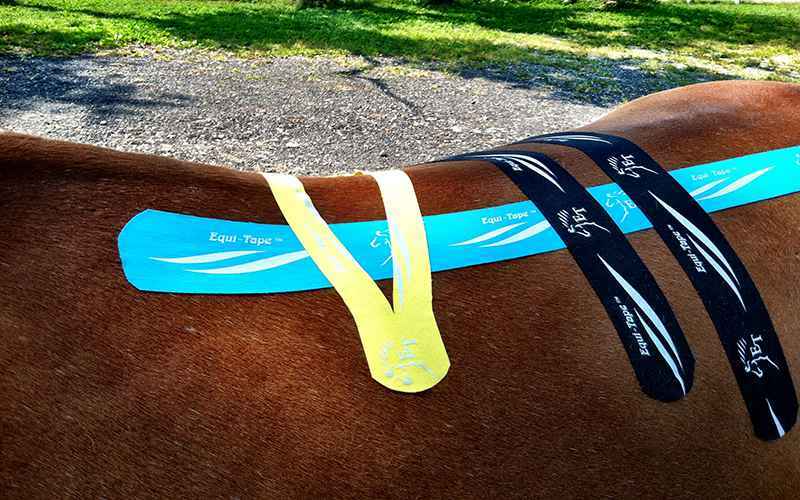 I have been using Equi-Tape on my horses and myself for 3 years now. Dr. Bev has been extremely helpful and very insightful with her help. It has helped me perform on 2 serious occasions with shoulder injuries. I was able to finish a tournament even after a shoulder dislocation. 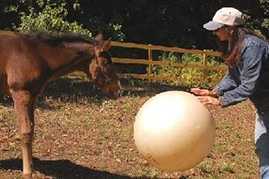 It has also helped my injured horses stay in competition with less recovery time between games.